This workshop seeks to reimagine a range of potential, unlikely, and imaginative careers. Members of Broken City Lab will help facilitate an exercise in exploring and unfolding the ways in which the knowledge and practice of law might be applied to new settings, situations, and social realities. Are there legal careers yet to be defined or is there a need to forget the ideas of a law office, court system, and legislative boundaries all together? 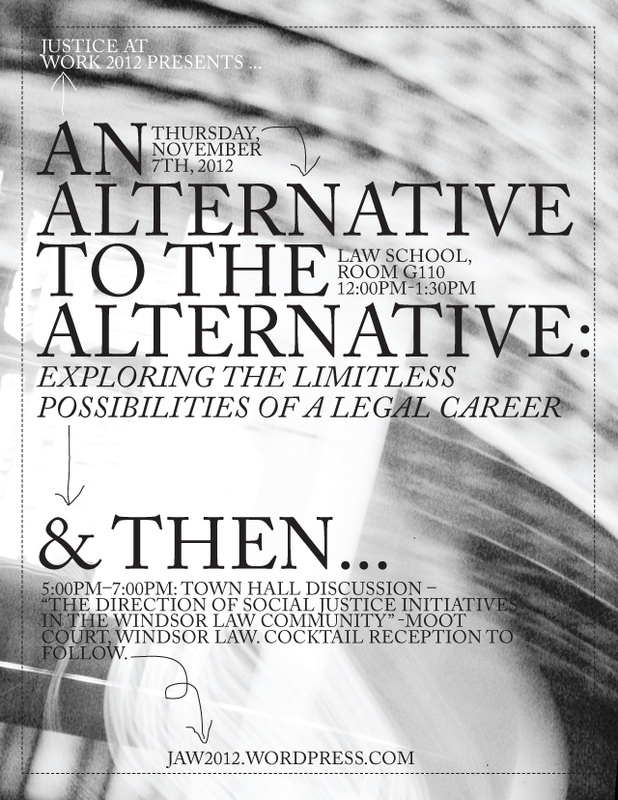 Join us for an engaging and challenging discussion towards articulating an alternative to the alternative. Danielle and Justin are co-founders of Broken City Lab, an artist-led interdisciplinary creative research collective and non-profit organization working to explore and unfold curiosities around locality, infrastructures, and creative practice leading towards civic change.